For all of you that have been following my blog, you know I’m all about personal experiences and the lessons we learn going thru them. As I share my point of view with you all, the feedbacks, comments and personal messages I receive in return shows me clearly what I also knew; to every situation there are thousands of possible outcome/reaction and ours is not always the right one but it is the one we know until we share and learn from others, listen from others and grow from others’ experiences. If you are interested in posting a guest article send me an email at rosiesandz@me.com with your post. Here are the guidelines for an article to be published on my blog. You may provide up to three byline links: one for your blog or Web site, one for your bio or “About” page, and one for your Twitter/Facebook/LinkedIn account (optional). 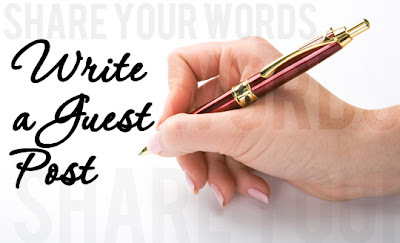 Your post should be at least 500 words long and no more than 1200 words. I will likely have someone copyedit your post for grammar, punctuation, spelling, etc. If I make substantive changes (unlikely), I will email the post back to you for your approval before posting. I understand the work that it takes to write a blog post. However, the fact that you have written a post and submitted it to me does not obligate me to publish it. The only guest posts I will publish are those that in my sole judgment add value to my readers. The main reason why any post may not be considered is if it is in anyway pejorative, derogatory and judgmental toward anyone; different opinions, stands can be share in very respectful and courteous manner. And you should expect the same courtesy from my readers in their comments. If your post meets the above guidelines, Please email it to me for consideration at rosiesandz@me.com . Please include a one to two-sentence byline that includes what you do, along with your blog address and your Twitter and/or Facebook address.